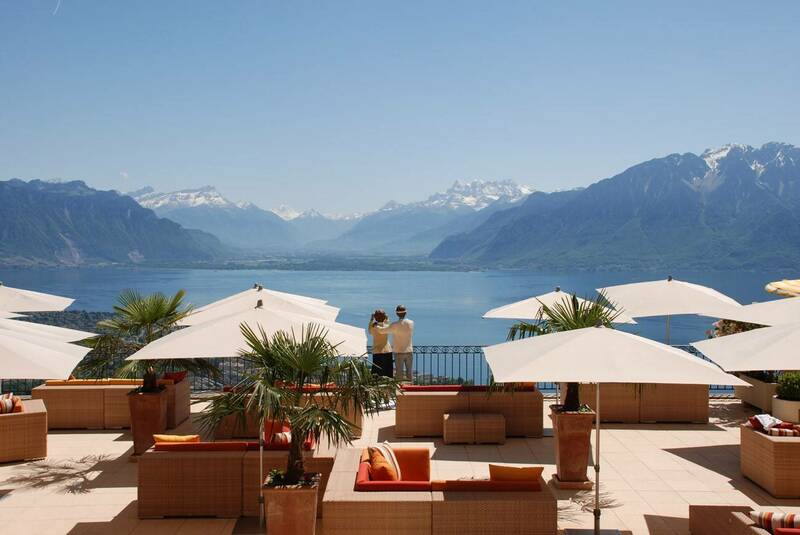 Journey along picturesque lake Geneva to Lausanne, Vevey, Montreux & Chateau Chillon. 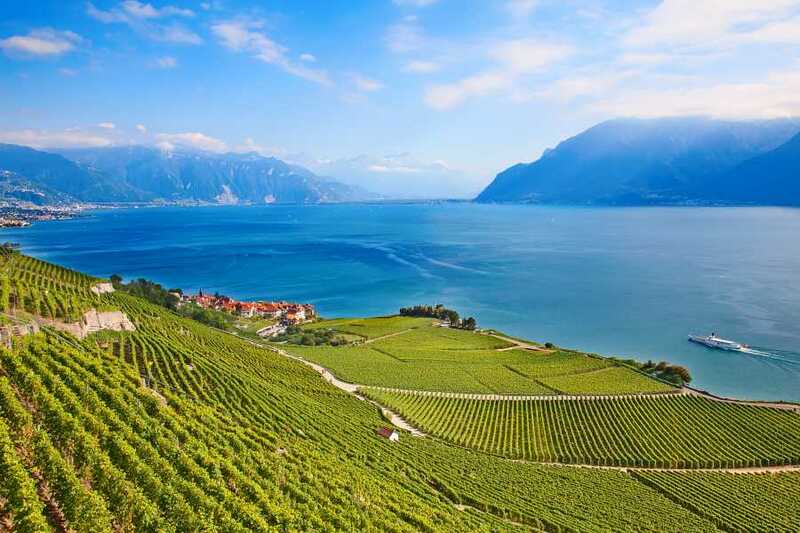 The next stop is Vevey- Free time to visit this picturesque town and its market Square made famous by Ernest Hemingway and Charlie Chaplin. 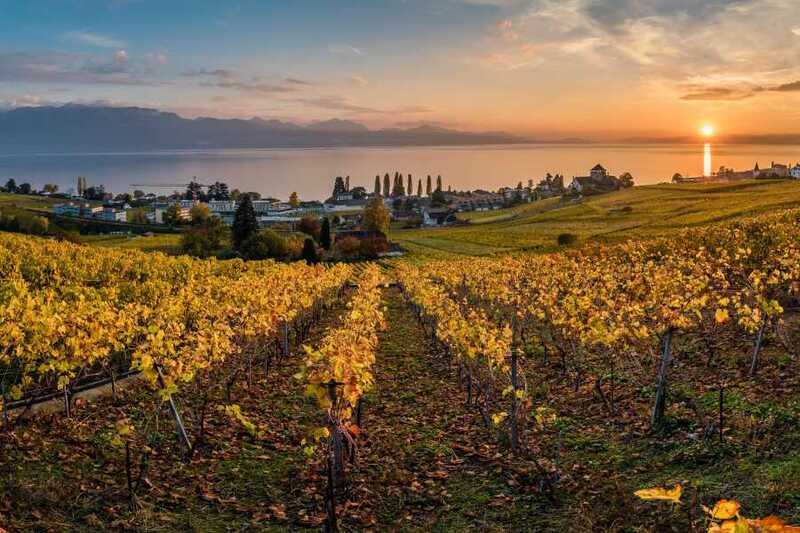 Return to Geneva stopping at the famous Lavaux wine terraces perched high above Lac Leman for a drink at the famous Baron de Tavernier aperitif bar with stunning views of the lake. Door to door transport and stops with vehicle and driver for 9 hours. Executive style Mini Bus with Air conditioning, Wifi and bottled water. Lunch at a restaurant in Montreux. Free drink on the Wine Terrace in Lavaux. Explore the beautiful Swiss cities of Lausanne and Montreux on this relaxing and scenic day trip from Geneva. 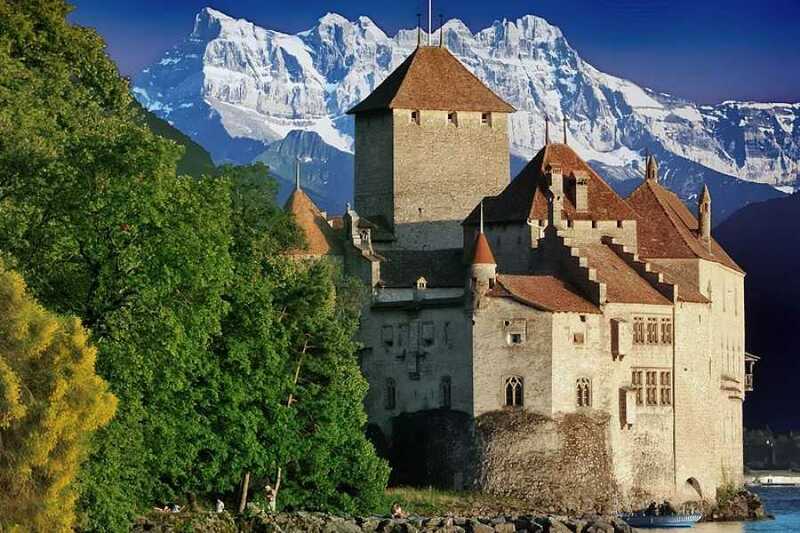 You’ll drive through the beautiful Swiss countryside, enjoy free time in Lausanne and Montreux, and take a tour of the famous Château de Chillon, a stunning castle that sits on Lake Leman (commonly referred to as Lake Geneva). 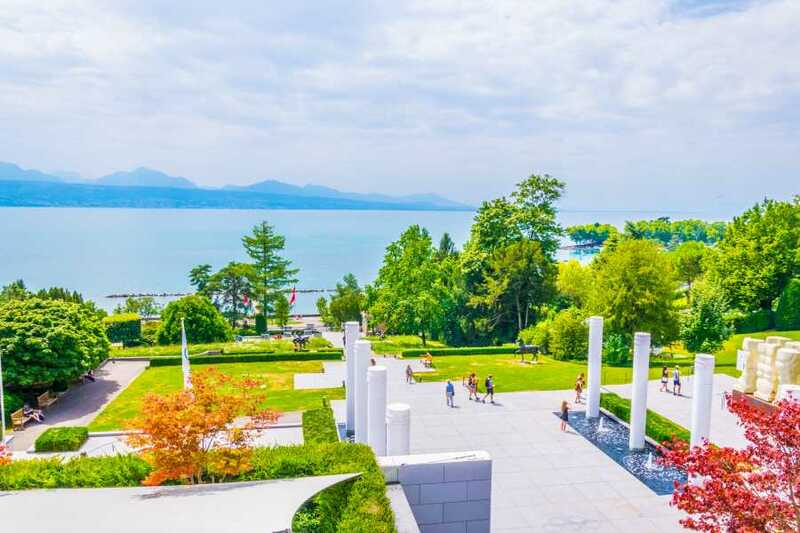 Select our all-inclusive package to include entrance tickets for the Château and Olympic Museum, plus lunch in Montreux and a drink on the picturesque a wine terrace in Lavaux. the history of the games, its organization and of course athletes. The museum is modern with many interactive displays complimenting the wide range of items directly related to the games, its organizers, and the athletes. 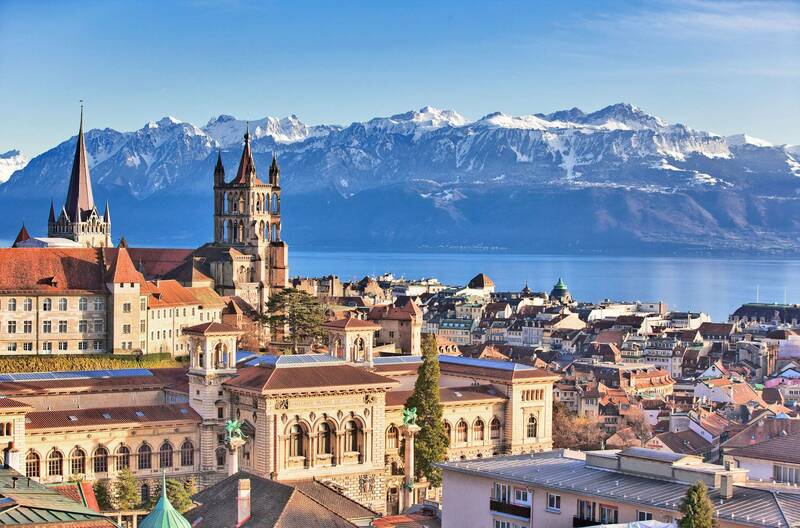 Montreux town nestles in a sheltered Lake Geneva bay, surrounded by vineyards and against the breathtaking backdrop of snow-covered Alps. 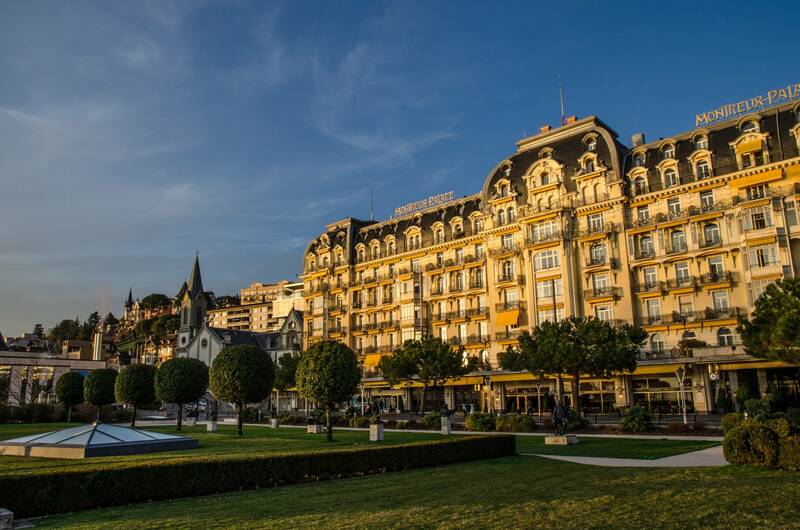 Known to many as the city of music and famed for its international Jazz festival Montreux is a wonderful city to visit. Its lakeside promenade is bursting with flowers & scents that create the perfect photo opportunity. 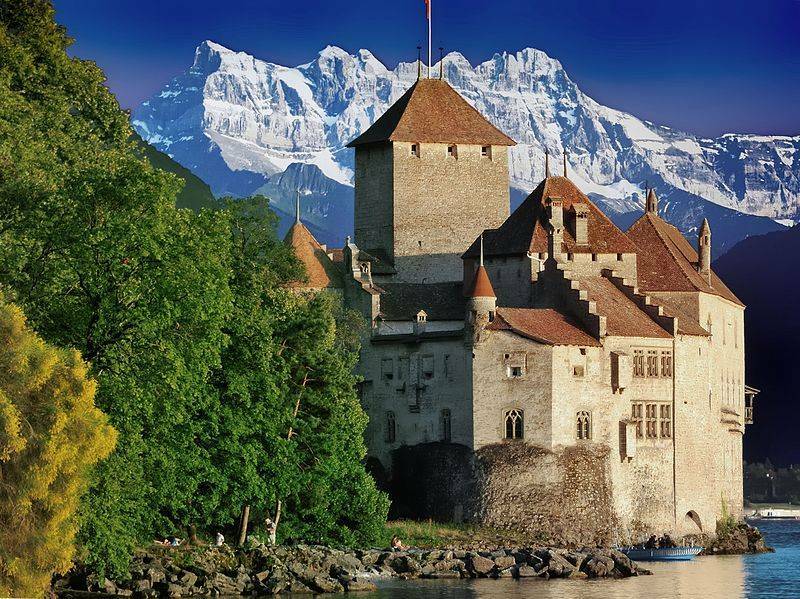 Chillon Castle is located on the banks of Lake Geneva on a very small island. 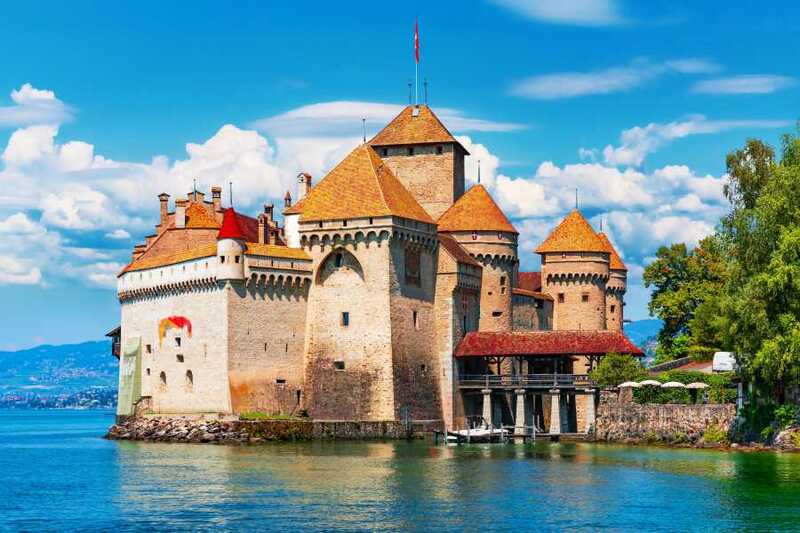 The water castle is the most visited historic building in Switzerland. For nearly four centuries Chillon was the residence and profitable toll station of the Counts of Savoy. By touring this Castle you can view incredible wall paintings from the 14th century, subterranean vaults and parade halls dating to the time of Bernese rule. 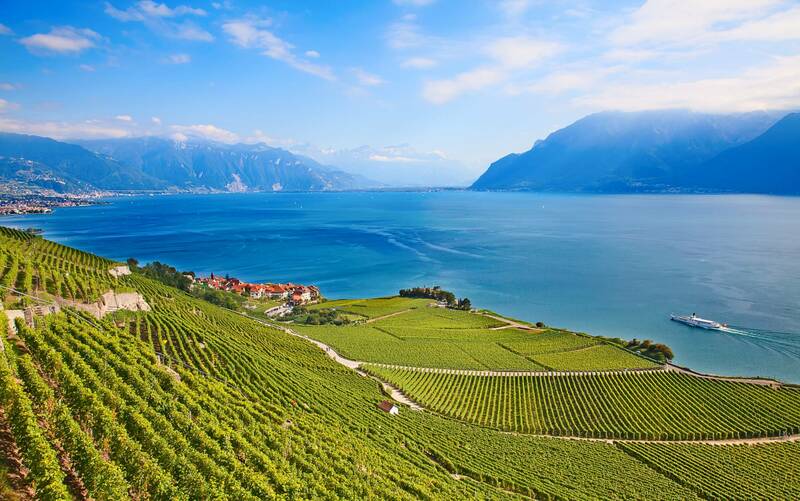 Lavaux is internationally famous as a terraced wine-growing region on the shores of Lac Léman in western Switzerland. 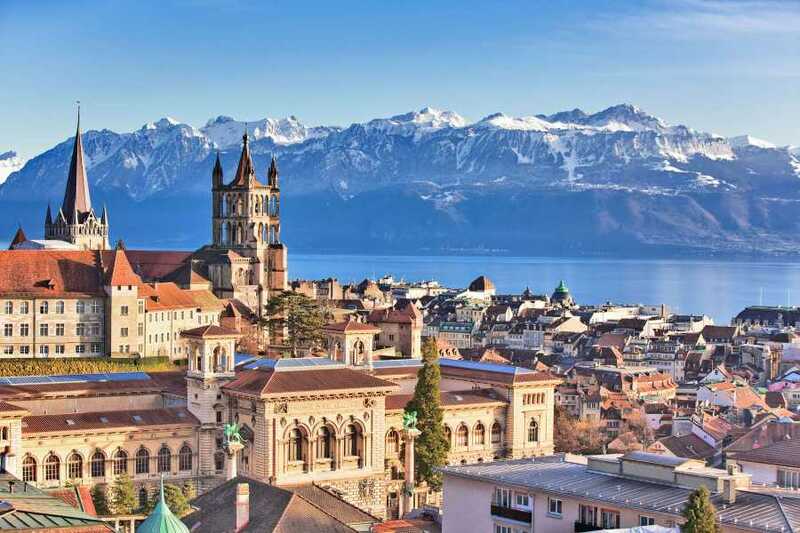 It covers the territory roughly from Lausanne to Montreux, extending to an altitude of roughly 500 meters above lake level and including 6 lake-shore villages and the city of Vevey. 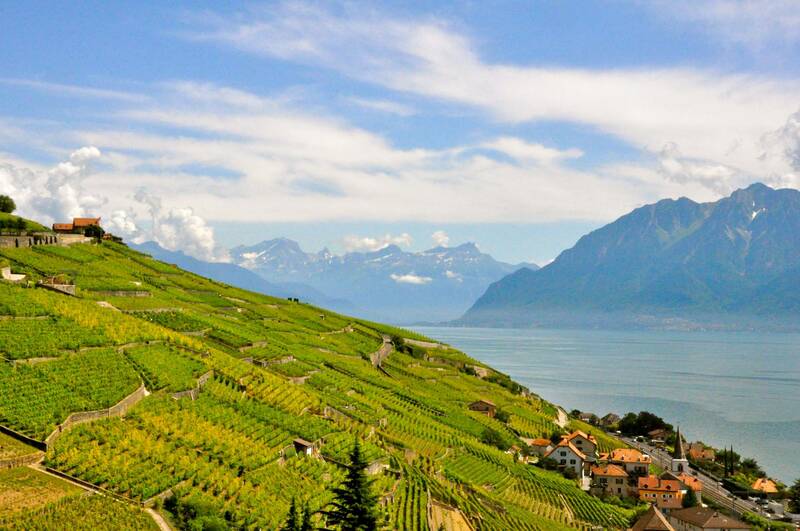 Part of the Lavaux (bas-Lavaux) has been recognised since 2007 as a world heritage site by UNESCO.